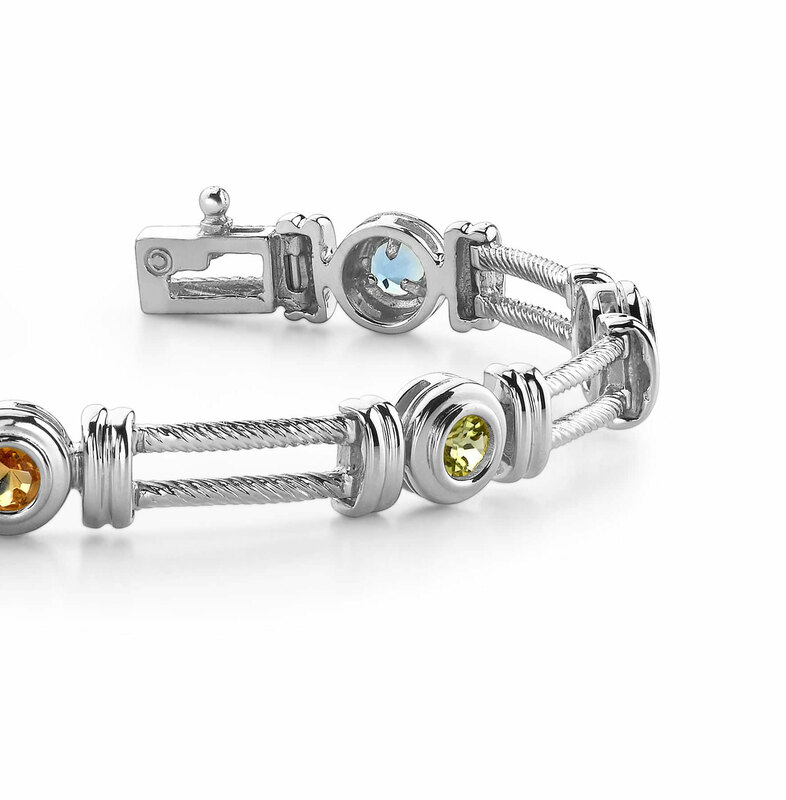 Available in double of triple-track links, this two-tone bracelet is really a stunner! 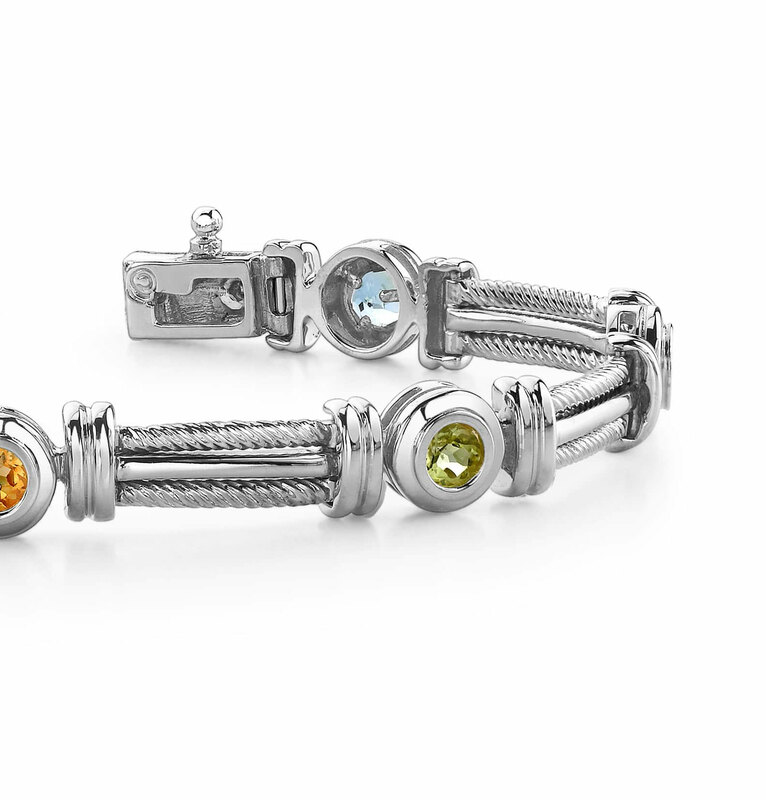 Multi-colored stones add great visual interest, and make this a very versatile piece. 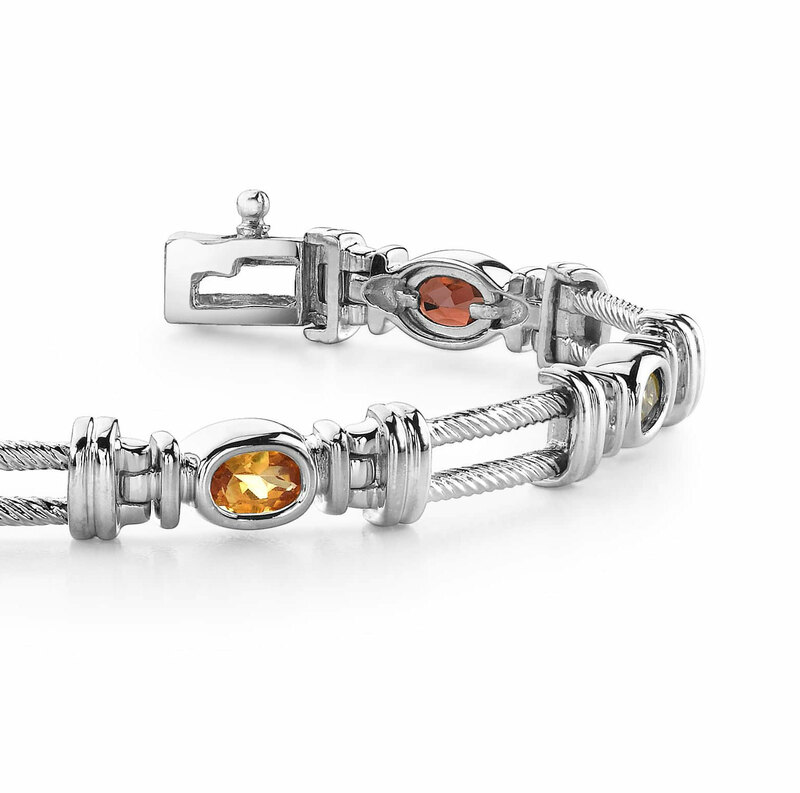 Our sturdy clasp will keep this piece in place – and it will sit perfectly on any wrist. Pick this one up today!